Nutrition is the focus of the 11th Anti-Ageing Conference, which takes place in London in October. More than 20 world renowned speakers will be presenting at the event. For more details about the programme and a special anti-ageing training for see the eblast. Nutrition is the focus of the 11th Anti-Ageing Conference, which takes place in London in October. More than 20 world renowned speakers will be presenting at the event. For more details about the programme and a special anti-ageing training for BANT members click here. This month’s BANT News is now available for members to access. This month’s issue is full of updates and useful information, including summits, CPD activity, advice on being ASA compliant with client testimonials and free tickets to the Allergy and Free From Show North for you and your clients. Access the BANT news here. This is the eighteenth edition of our new look BANT News we hope you enjoy it. BANT member Amanda Hamilton was featured on Steve Wright’s Radio 2 programme talking about how to eat healthily – getting a good balance of carbs and protein. Amanda is a Registered Nutritional Therapist and a Senior Associate of the Royal Society of Medicine. Obesity has been linked to development of 10 of the most common causes of cancer, a research study has shown. Scientists have revealed that a study of five million people in the UK has shown a link between being overweight or obese and more than 12,000 cancer cases in the UK population every year. The study, reported in the Lancet this week, was led by scientists from the London School of Hygiene and Tropical Medicine over a seven year period. They found each 13-16kg (2-2.5 stone) of extra weight an average adult gained was linked firmly and linearly to a greater risk of six cancers. The size of the risk varied depending on tumour type. Researchers say though obesity was associated with the development of the most common cancers – which represent 90% of the cancers diagnosed in the UK, some showed no link at all. A high BMI was associated to cancer of the uterus, gallbladder, kidney, thyroid, cervix and leukaemia. It was also associated to liver, colon, ovarian and post-menopausal breast cancer. Dr Krishnan Bhaskaran, who led the research, said: “There was a lot of variation in the effect of BMI on different cancers. “For example, risk of cancer of the uterus increased substantially at higher body mass index, for other cancer we saw a more modest increase in risk or no effect at all. 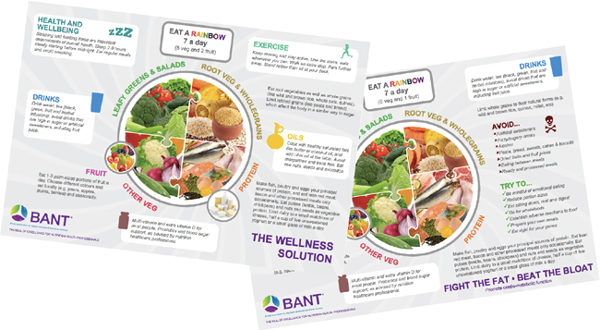 “As BANT detailed in its Memorandum on Behaviour Change to the Science and Technology Committee of The House of Lords in 2011 (published with reference BC 22), Nutritional Therapy recognises the extent of genetic variation and individual response to diet, dietary and lifestyle components that determine a different approach for every single person who walks through the doors of a Nutritional Therapy clinic. A prescription for prevention may be different from an intervention for the individual who is already overweight or obese. Putting together the jigsaw of influences spotlights a number of key determinants which can affect individuals and allows the Nutritional Therapist to intervene to achieve a best possible positive outcome,” he added. BANT is backing a FREE eight day online summit in September featuring world leading speakers.The summit, which has been set up to accommodate doctors, health professionals and patients / clients will explore new techniques used by 30 health innovators who are setting a vision for a more empowered, proactive and patient-value focused healthcare system. The summit will run from September 8th to 15th with seminars with more than 30 leading doctors, nutrition experts and health gurus as speakers, the summit is ideal for the education of nutritional therapists and our clients. Different presentations will be made available for health professionals and their patients/clients. Please follow this link and register as an affiliate. Upon completing your registration, you will be provided with all the links and materials you need so that you can share this event with your own clients. To access the special offer for BANT members, click here.